Home→a Newsletter→Planning A Visit to Tucson? One of many colorful adobe houses in Tucson's Barrio Viejo built in the 1800's. There are loads of reasons to visit Tucson and the many other historic towns & sights around Southern Arizona. Some folks come for a day or two. Some come for a week. Others stay for a season. Those of us who live in Southern Arizona have our favorites places. What you do and where you go depends a lot upon the season, how much time you have, how old you are, and "whatever floats your boat". Below are our tried and true suggestions for "Things To Do In Tucson" based on how much time you have and the time of year you plan to be here. If you are going to be visiting more than one attraction that has an admission fee, be sure to purchase a Book of Fun from the Tucson Attractions Alliance. This is a coupon booklet of significant savings, mostly two-for-one admissions. What To Do If You Only Have One Day? If you only do one thing while in Tucson, go to the Arizona Sonora Desert Museum. If it is HOT, go early; drink lots of water. Do take Gates Pass to get there. (Take Speedway west and keep going.) Stop at the rest area at the top of the pass for a great view amid a magnificent saguaro forest. Don't miss the several FREE shows, such as Raptor Free Flight. In addition to being an excellent combination desert botanical garden and zoo, our Desert Museum has several good dining options. Adjacent to the Gift Shop is a coffee bar. Members get free coffee. The Ironwood Terraces is self-serve grill with a wide range of delicious offerings from cheese burgers to pizza to salads. The Ocotillo Cafe' is fine dining and you will need a reservation during peak season: 520-883-5705. If the weather is pleasant, ask to be seated on the patio. Signal Hill Petroglyphs by John Ashley. If you have time after visiting the Desert Museum, drive a little further west to the Saguaro National Park Visitor's Center. Here you can view a short video about our amazing Sonoran Desert and get a map of the back roads through Saguaro National Park West. Don't miss the thousand-year-old petroglyphs at Signal Hill. OR retrace your route east to the Historic Presidio District in downtown Tucson. There you can enjoy the partially restored Presidio San Agustin and the Tucson Museum of Art. In between is the Old Town Artisans galleries located in one of the oldest buildings in Tucson with its courtyard La Cocina Cantina that usually has live music during evenings & weekends. In the Historic District you can also dine at El Charro Cafe' on Court Street or Cafe a la C'art in the Museum courtyard or Cafe Poca Cosa a few blocks east on Pennington. All 3 are excellent! Mission San Xavier del Bac a few miles south of Downtown Tucson. What To Do If You Only Have Two Days? On Day Two we suggest traveling south from Downtown Tucson on the I-19 corridor where, after about 7 miles, you will see Mission San Xavier to your right (exit 92). This is a working Catholic mission & church, but it's open to the public during the day, except during mass & special events, such as weddings. The word "iconic" is an overused adjective, but if there is a place that deserves such a description it's this, the "White Dove of the Desert". From San Xavier continue south for about a half hour. Go past exit 34 for Tubac about 3 miles and take the exit for Tumacacori. Turn left under the freeway; then left again at the east frontage road. Can't miss it. Here you can visit our other famous icon: Mission Tumacacori National Park. If a park ranger is giving a tour, take it. Otherwise we have 3 original videos about different aspects of this grand old mission narrated by Ranger Anita. Afterward, head north on the feeder road. You will soon come to Wisdom's Cafe' where you can enjoy some of the finest Mexican food anywhere. Continue north on the feeder road 2 miles to Tubac, Here you can enjoy the many art galleries and other interesting shops in the Village. Tubac has 3 good restaurants: Tubac Deli, Shelby's Bistro, & Elvira's Mexican Restaurant. Visit the Tubac Presidio State Historic Park, home of Juan Batista de Anza, founder of San Francisco. If you still have time before 5pm, continue north 20 miles on I-19 to Green Valley (exit 69) and take the tour at the Titan Missile Museum. This is perhaps the most unique experience you will have during your visit. If you will be visiting the Pima Air & Space Museum soon, be sure to buy tickets for both in order to get a significant discount. On this site we have one original video about this amazing relic of the Cold War. What To Do If You Have 3-5 Days? In addition to the many unique sites and good dining experiences from your previous 2 days of touring, you still have much to see & do. A few miles east of Tucson International Airport is the very worthwhile Pima Air & Space Museum. They offer excellent tours, including guided tram tours around the extensive outdoor portion. If you have already been to the Titan Missile Museum on Day 2, make sure you have discount tickets for both venues. If shopping is your thing, be sure to visit Tubac further south. In winter months, Mt. Lemmon's Ski Valley is the southern-most ski area in North America. On a hot day, you might opt for a leisurely drive to the top of Mt. Lemmon where the temperature is 30 degrees cooler than Tucson. Enjoy the scenery, go for a hike. Have a bowl of chili and a slice of fresh-baked pie at the Iron Door Restaurant across from Ski Valley or a pleasant meal on the patio at Sawmill Run Restaurant in Summerhaven. Check out our original Mt. Lemmon video. Sabino Canyon is a very popular recreation area nestled in the Santa Catalina foothills of northeast Tucson. Here you have many choices for outdoor activity, including picnicking, hiking, & bird & wildlife observing.The folks at the Visitor Center here can answer all your questions about this area. If the water is flowing, wade or go for a swim in Sabino Creek at Tram Stop 9 or hike up to 7 Falls. Note: the narrated tram ride up into the canyon is not expensive but they only accept cash. Click here to watch our Sabino Canyon video. In Tucson, there is sooo much to see and do. Click here for more suggestions. 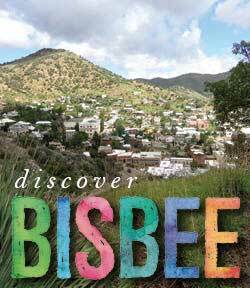 If you have more time, you can venture beyond Tucson for more great sightseeing in Cochise County. These are some recommendations.